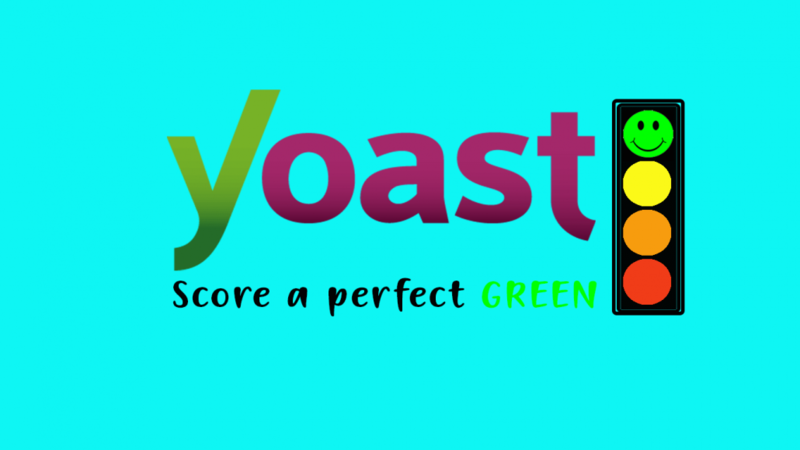 SEO Yoast: How to Score a Perfect Green on SEO Yoast. If you are really planning to take blogging as a business SEO Yoast should be a must install for you. SEO Yoast allows you to avoid common SEO errors that beginners encounter. Yoast is certainly one of the most popular plugins to optimize your website. It regulates in two major tabs, the readability, and keywords. SEO Yoast WordPress plugin has certainly gained popularity with attributed success and recommendation. Perhaps strange for beginners but a jackpot for some. On this post, we would put you through on how to obtain a green on wordpress posts. There are five grading color codes on SEO Yoast. They include Grey, Green, Yellow, Orange, and the red. Although the grey color grading doesn’t come often, Green signifies a well-optimized page, yellow means ok, Orange poor and finally red is horrible. After installation, the SEO Yoast sets up at the bottom of the page. Scroll down on your content creation page to see the Yoast analysis result. The first item is the snippet. Snippet Preview: It displays a sample of how the content will appear on a search engine. Focus Keyword: It is the main keyword of the content. It is very important to have the keywords on headers a strategic place on your content. you can check our article on using keywords in content. Meta description: Click on edit snippet copy the first paragraph and paste it on the meta description field. The meta tag is the first155 characters of your article. Most importantly it must contain the focused keyword. SEO Title: Although it is usually the first item on the article just in case you missed it. The title must contain the focused keyword and must not be too long or short. SEO Yoast will certainly indicate when it is not appropriate. Keywords Density: They keyword density of content must be at a maximum of 2.5%. Header Tags (H1, H2): Focused Keyword but appear in headings. SEO-title: The title must be of considerable length and the Keyword close begining of the title as possible. Add an image: include an image to your post. Beyond the hustle for high CPC contents and search volume, blogging is about service. SEO Yoast also helps to improve the readability of content. Passive voice: Passive voice guides against poor language constructs. Passive voice must not be above 10%. Transition word: SEO Yoast also help content writers to include as many transitional words to improve readability. Words such as similarly, certainly, for that reason, because, also, since etc. Contents must contain 30% of transitional words. Length of sentences: 75% of the sentence must be short or equal to 20 words. Paragraph length: SEO Yoast guards against lengthy paragraphs. Subheadings: Subheadings must not contain more than 300 words. Flesch Reading Ease: Make short sentence and less passive voice. Flesch score is an overall score of the ease to read. Good luck to you on your blogging quest. SEO Yoast: How to Score a Perfect Green on SEO Yoast. If you are really planning to take blogging as a business SEO Yoast should be a must install for you. SEO Yoast allows you to avoid common SEO errors that beginners encounter. Yoast is certainly one of the most popular plugins to optimize your website. It regulates in two major tabs, the readability, and keywords.